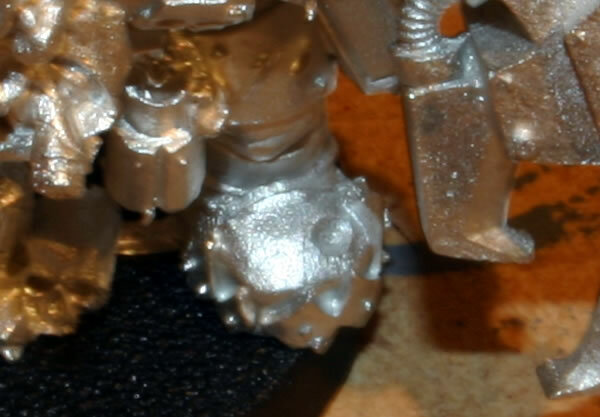 See how I am painting the Ork Kommando with Big Shoota. 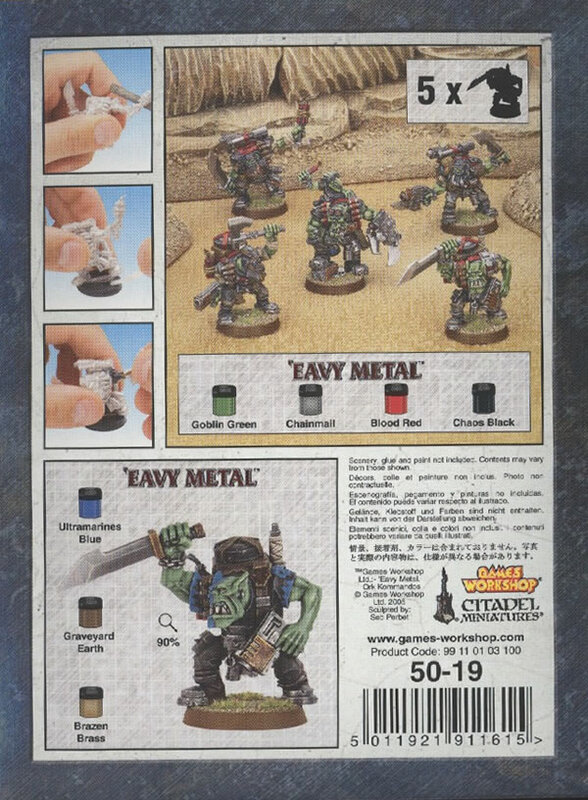 See how I am painting the Ork Kommando with Burna. These are a recent release from Games Workshop as part of the Medusa V campaign. 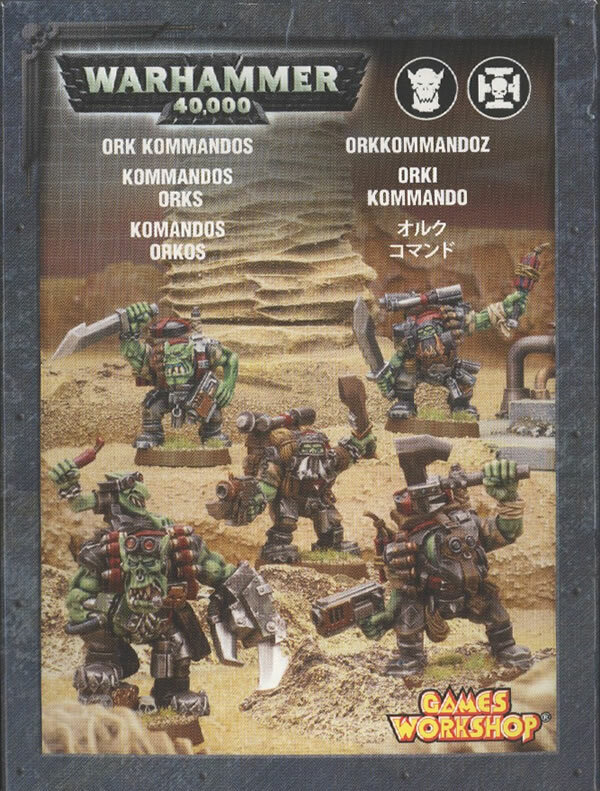 One of the rare Ork releases until the release of the Ork Codex sometime in the latter half of 2007. 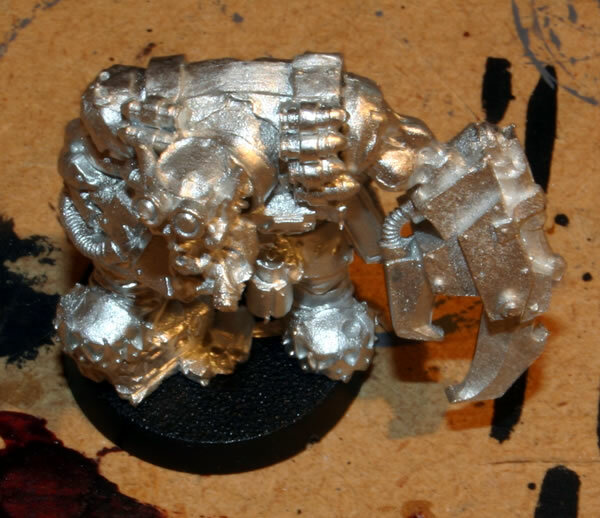 The Orks come in quite a few components, and each as their own backpack, with the Nob backpack also having a Grot hiding in the top. 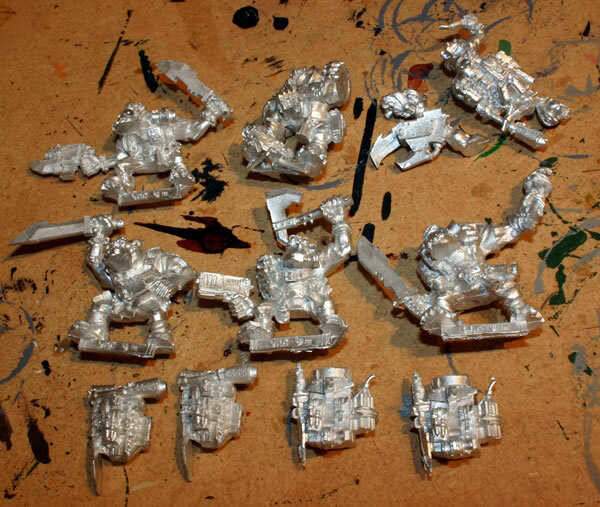 Though obviously released as Ork Kommandos they could be used as Tankbustaz. 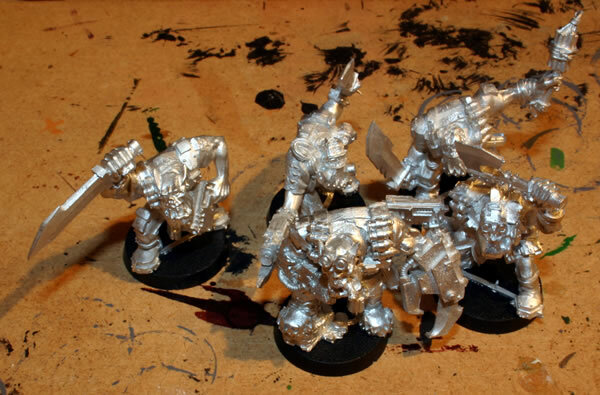 I put the Ork Kommandos on their bases. I have decided to paint their backpacks separately, so will need to mount them somehow. The boss (Nob) has a separate arm and head, so I stuck them on. One of the nice touches (Jes Godwin told me this) is the bullet hole in his left boot just below his Slugga holster. It's as though one day, he was holstering his pistol and BANG!